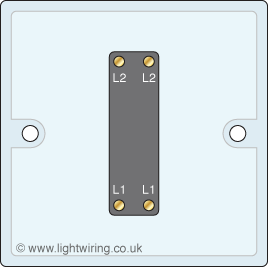 There are four terminals, usually L1, L1 and L2, L2. 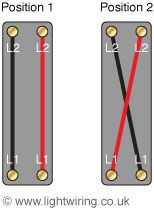 In one position, L1 and L2 are connected in pairs. 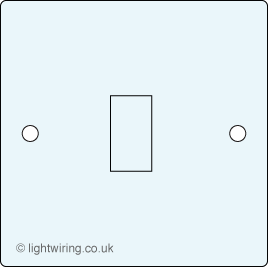 In the other position, alternate pairs are connected.